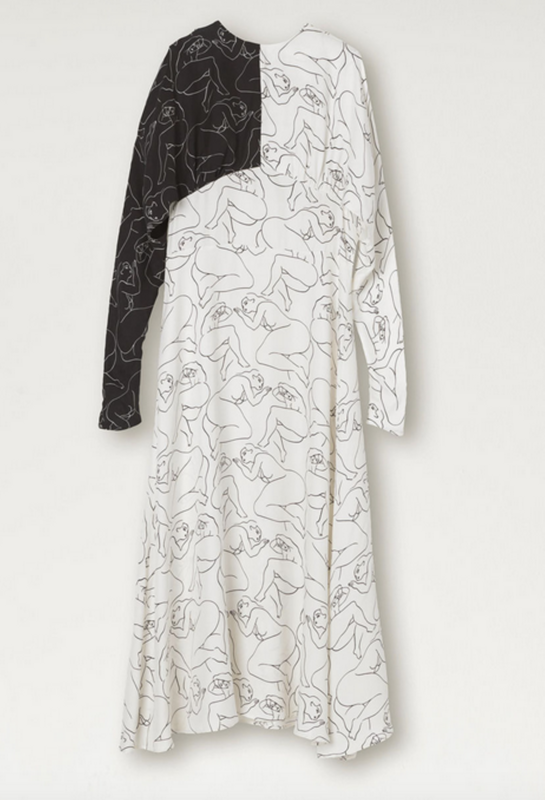 Super beautiful and unique dress in the season's Lush Ladies print from Danish By Malene Birger. The model is made with fine details by the sleeve, which gives the illusion of an open back, but without it being real. The length of the dress is midi, and goes under the knee, the cut is round and the dress normal in fit. Super gorgeous dress that is perfect for the many party parties and gatherings of the season. Chest size 38 = 2 * 50.5 cm. Waist size 38 = 2 * 41 cm. Length size 38 = 128 cm.